Mindcore has finished Seven Refractories Project: automating Russian subsidiary of an international company Seven Refractories that manufactures refractory materials. The main goal of the project was to implement Microsoft Dynamics NAV 2016 (Russian localization). The project was divided in 2 stages, going mostly parallel to each other: the deployment of the ERP-system and its integration with 1C: Accounting Suite. Business processes in the head office of the company in Slovenia are managed in Microsoft Dynamics NAV system, so NAV was chosen as a system for Russian office as well. However, despite the successful experience in replicating NAV for other European offices, in the case of the Russian office we had to take local peculiarities into account: serious differences between domestic accounting and international standards of accounting, regular changes in accounting and tax legislature, processes related to imported goods and working with customs office in Russia. 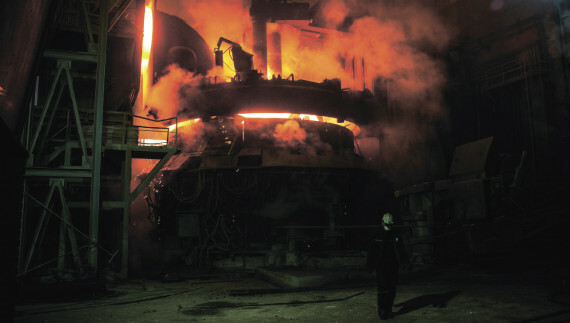 Seven Refractories in Russia is a distribution company working in a metallurgical sector, offering not only products but consulting services as well. The scope of the project included automation of accounting, financial department, management accounting, purchasing department, logistics and distribution. Microsoft Dynamics NAV 2016 Integration with 1C: Accounting Suite required transferring large amounts of data. We used a new version of the XML-DEM solution Mindcore released in 2016. The export and import speed has increased several times comparing with the previous versions. Thus, with the help of XML-DEM we were able to set up the transfer of sales, purchases, customs documents and charges, expense reports etc. “We have finished the Project that seems quite easy when you’re reading about it, but from the organizational and technical point of view it wasn’t trivial, but the joint force of Mindcore experts and Seven Refractories users has made it possible – says Alexander Baikov, the project manager, director of Partnerships at Mindcore – Despite the scale of the project, we have been able to provide much needed solution in general and take into account a variety of small details that are especially important for the end-users. We managed to make it easier for users accustomed to a different system to work in Microsoft Dynamics NAV. The project took place in a very pleasant and friendly atmosphere, together we always were able to find solutions to any problems. Now we have much work ahead of us, our idea is to improve the management functions during service support. We are very pleased that cooperation with Seven Refractories continues! “. In addition to technical service, Mindcore will develop management accounting, improve interface, add some BI and analytical reports to the existing system.